April, 2017– Louisville, Kentucky – Louisville is famous for the Kentucky Derby, the Louisville Slugger baseball bat, and as the birthplace of boxing great Muhammad Ali. Louisville is also home to the second oldest branch of Armstrong Relocation & Companies. Building trust, reducing stress and delivering reliability around the globe are foundational principles of this nearly 100-year-old company that has been owned and operated by the same family since 1957. 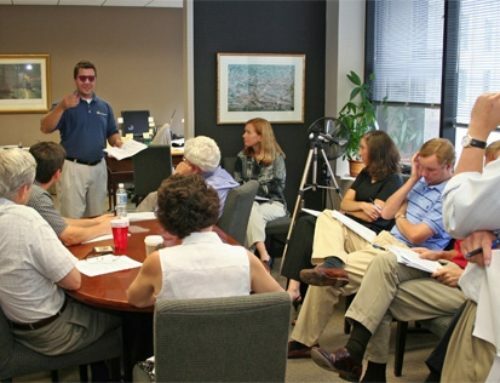 Armstrong ensures that employees are aligned with these principles through constant training, through its internal Armstrong Center for Excellence, and through external education programs. 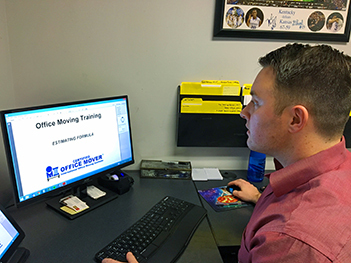 The company’s commitment to quality, customer service and training motivated Armstrong-Louisville President Steve Yackey to enroll the entire branch staff in the IOMI® (International Office Moving Institute) online office moving seminar in February 2017. “We wanted all our employees—sales, administrative, customer service, and operations—to learn IOMI’s best practices methods,” Yackey said. “One of Armstrong’s core values is that quality is ever-evolving and ever-changing. 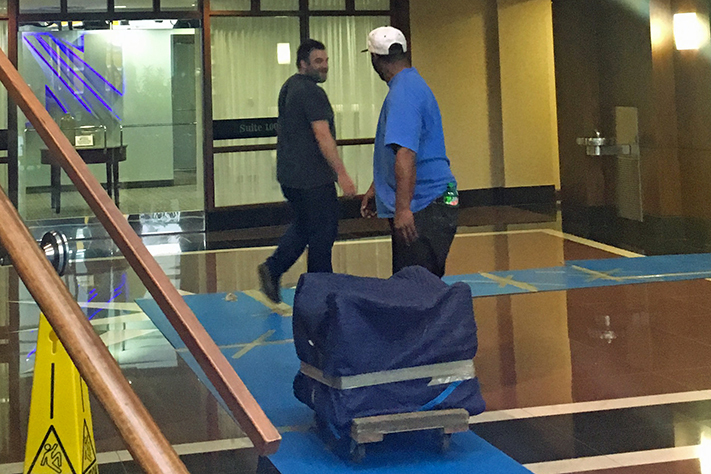 With our ongoing online training, we can be sure we’re estimating office move jobs accurately so they finish on time, for the price quoted,” he added. 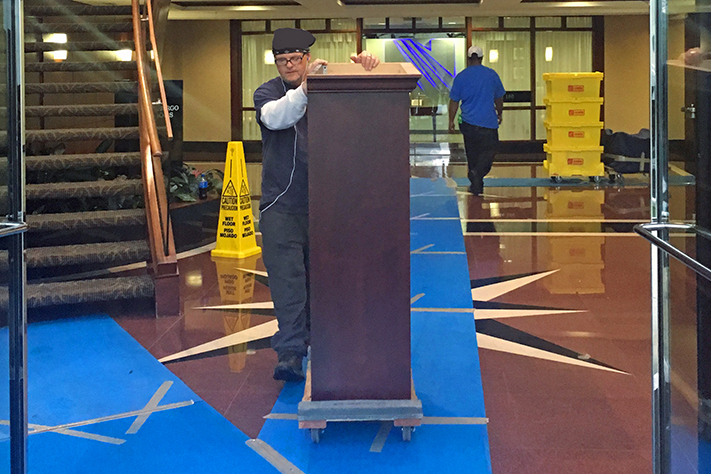 The IOMI training also teaches movers how to minimize injury risks and damage to furniture, computers, and real property such as walls, floors, doors and elevators. 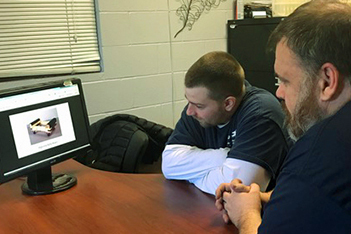 Continuous team member training in Armstrong’s quality standards and approach to safety has resulted in uninterrupted coverage by a single insurance carrier since 1957. 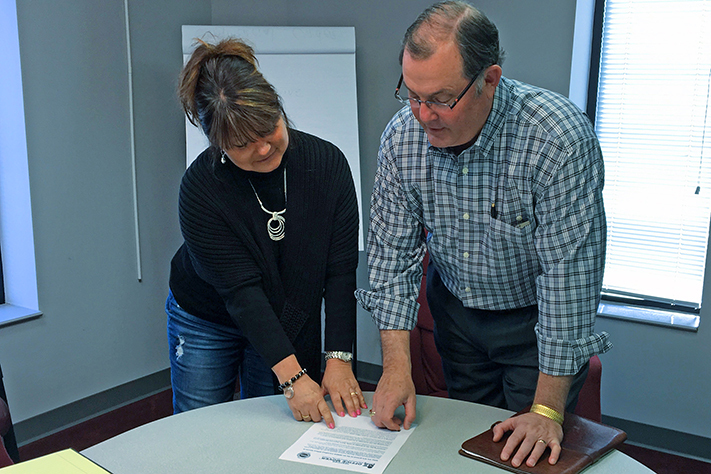 While Louisville was the first Armstrong location to enroll in the IOMI course, the company’s Cleveland/Canton, Ohio, branch has also signed up. 25 Armstrong agencies/locations in 15 states from coast to coast. Office Move for Wells Fargo implementing IOMI® best practice techniques.